Welcome to one of the most beautiful places in the world. 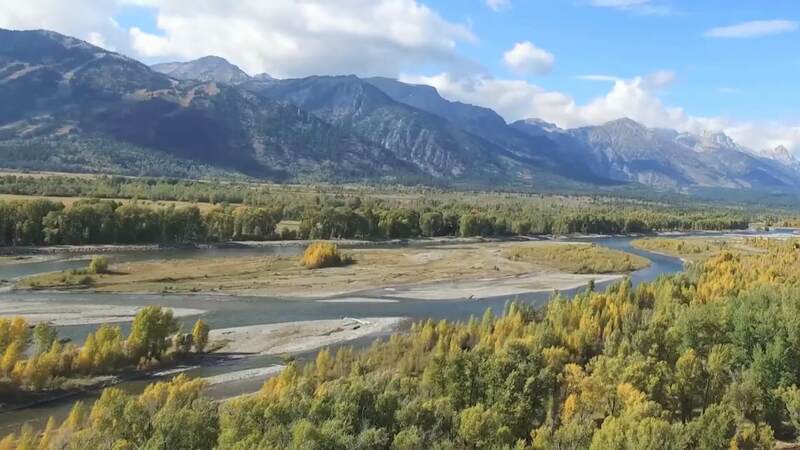 With several National Parks that include Grand Teton and Yellowstone, Jackson brings in people from around the world to revel in its majestic presence. 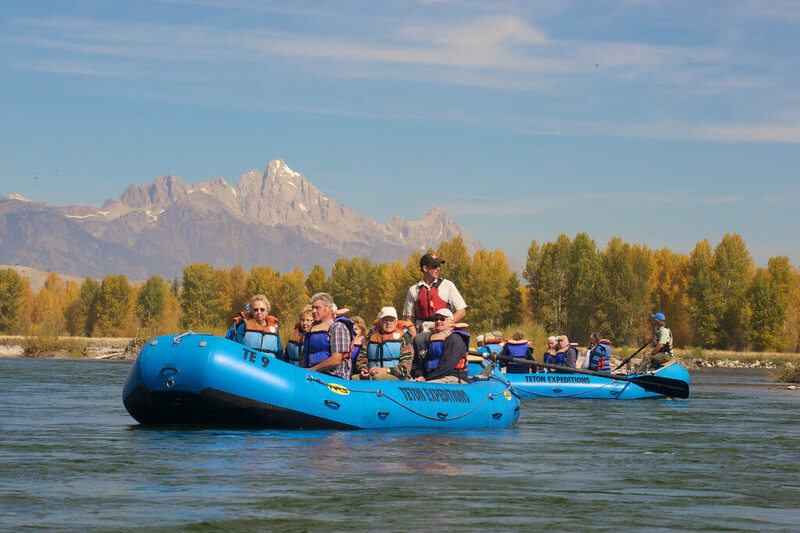 Whether you like the wild thrills of the whitewater section of the Snake River or the scenic relaxed setting of the river’s upper section, we have everything you need for an unforgettable Jackson Hole vacation! Teton Expeditions has been owned and operated by David Tibbitts for more than 25 years. David built the company on a winning combination of safety and customer service, and we have long been known as one of the most respected whitewater outfits in Jackson Hole Valley. General manager Jeff and boathouse manager Stephanie round out the management team. Both have extensive training and experience, and are always warm, accommodating, and eager to assist our guests. With a dozen highly experienced river guides and captains on staff, we can accommodate parties of all sizes. Children must be at least 4 years old to participate, and we offer children’s pricing through the age of 12. Ask about our group discounts. Our scenic float trips depart once per day in spring and fall, and twice per day from June through August. 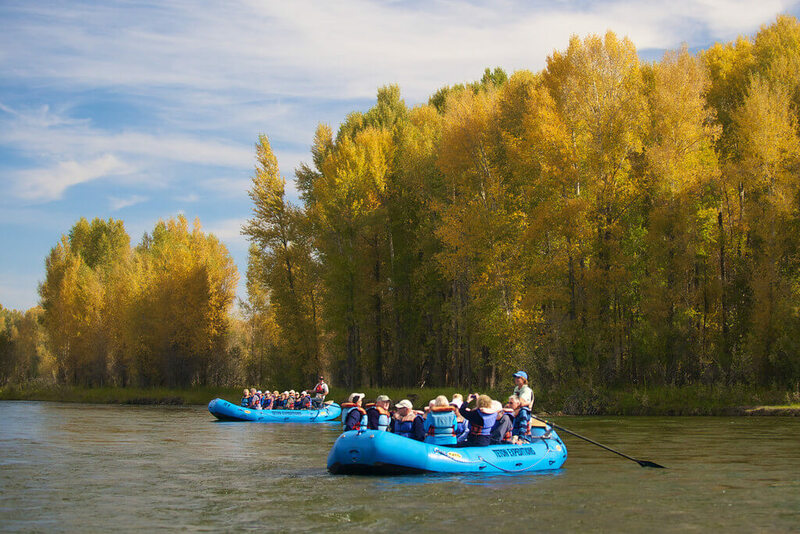 Whichever departure you choose, you will float in comfort through a 13-mile section of the Snake River while your experienced guide points out the local scenery and shares facts about the region with you. 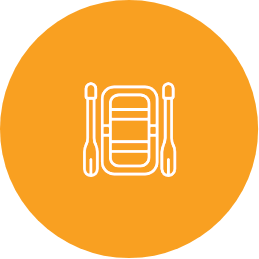 Our trips include a delicious meal prepared fresh in our commercial kitchen. We also provide high powered binoculars for wildlife spotting from the comfort of your raft. If you want to combine your scenic float with some whitewater thrills, sign up for our combo package! 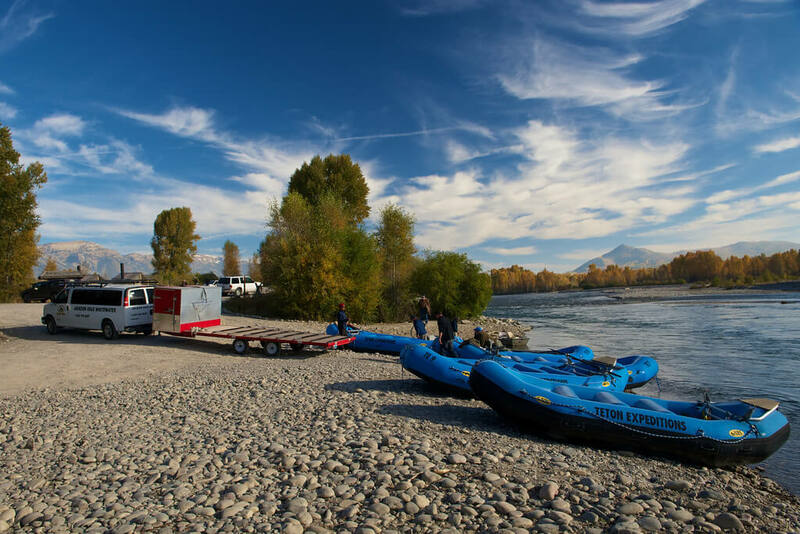 After a leisurely float through the calm upper section of the Snake River, followed by lunch, we’ll stop by the boathouse before heading out to the Class III canyon section of the river. 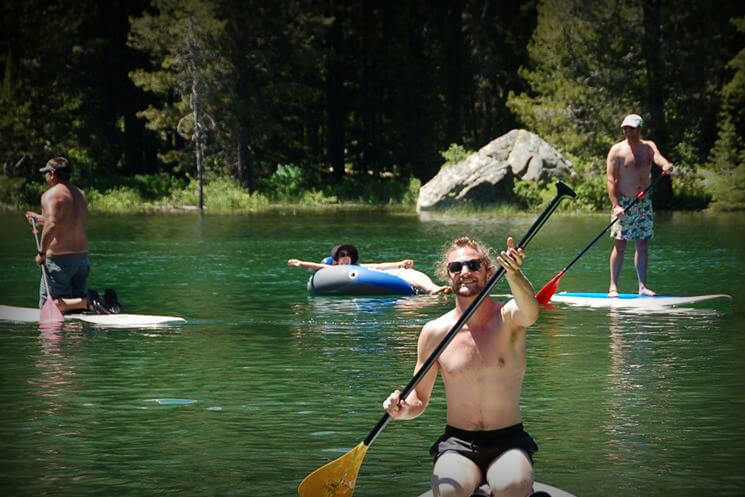 Here you’ll enjoy 8 to 10 sets of rapids, each followed by a calm area perfect for a quick swim. Choose the Classic Whitewater experience if you prefer to hang on, or the Small Boat Whitewater experience if you want to paddle. Wondering what to wear or what to bring? 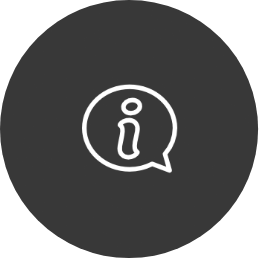 Check out our detailed FAQ for all the information you need to make the most of your trip! 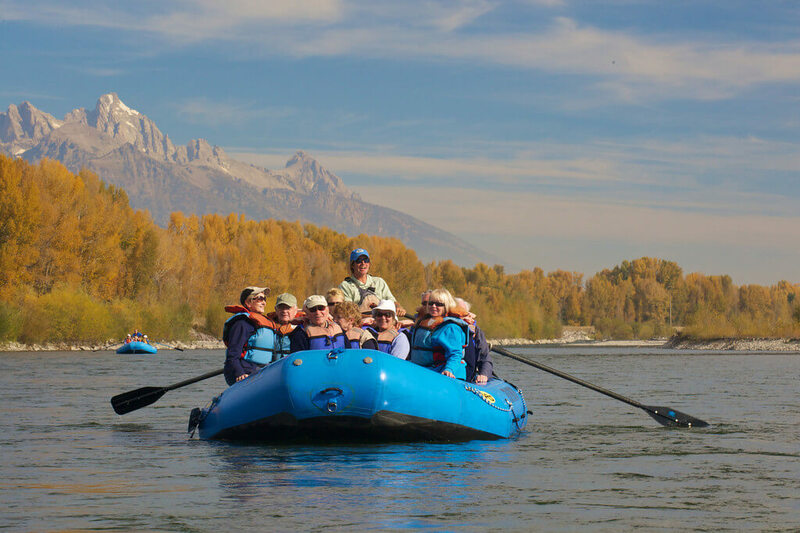 If you’re ready for the Jackson Hole rafting adventure of a lifetime, call us today at 307-733-1418 to book your spot. If you don’t want to take a guided trip, we have an assortment of water craft rentals that you can use for daily and extended uses. Rafts, inflatable kayaks, Stand Up Paddle boards, fishing boats, GoPro cameras, wetsuits and booties!!! We also sell disposable cameras, snacks, and terrific JHWW/Teton Expeditions merchandise at the boathouse! Teton Expeditions and it’s entire crew are looking forward to meeting you so you can join our satisfied customers list. If you had fun please leave a review as a future guide to all who are seeking some outdoor excitement and fun. 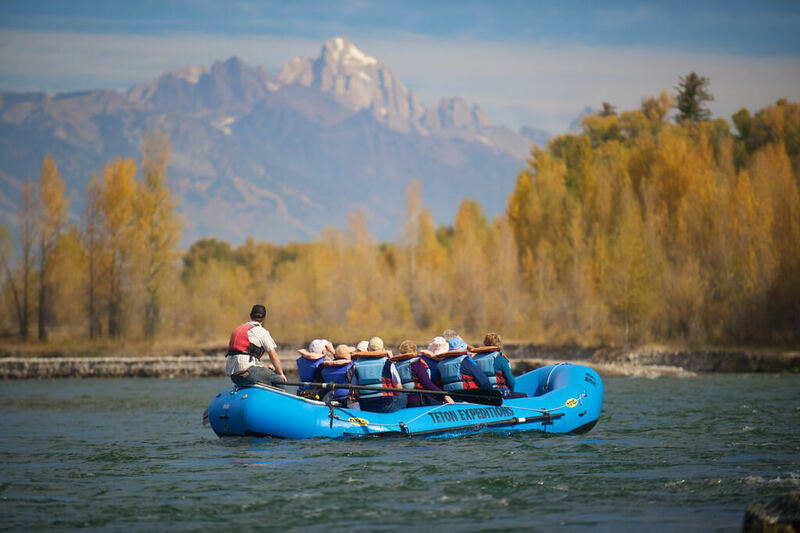 I have gone rafting with Teton Expeditions for the past three years, and have had immensely enjoyed myself each time. The staff was very friendly and made the trip a blast ! I had the opportunity to go with my favorite guide, Captain Ron, on two of my trips, and he made sure to offer me the “wettest seat” on the raft ! I loved it !! Right up front where I got to see what to expect….big rapids ! I had the chance to meet the owner, David Tibbitts, and it shows that he really loves his job because of all the effort he puts forth to make sure everyone is happy, and comfortable. 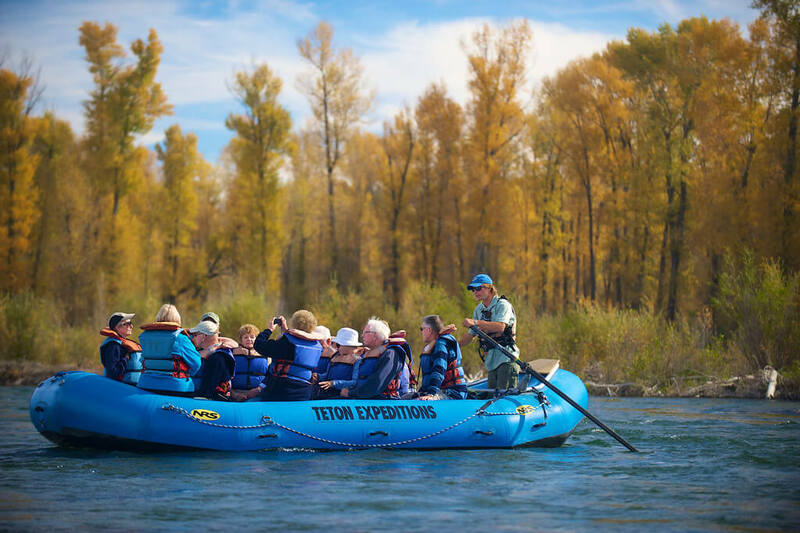 Teton Expeditions really makes you feel like you are part of “their” family when you go rafting with them. I am going to do the combo trip next year, so I can enjoying the relaxing scenic part of the trip, as well as the whitewater rapid part…I can’t wait ! Keep up the great work ! I highly recommend Teton Expeditions. Dave is excellent to work with and so accommodating. We’ve gone with our entire family from 6 to 76 and had a blast. The scenery is beautiful, the guides are great, and the water is chilly! 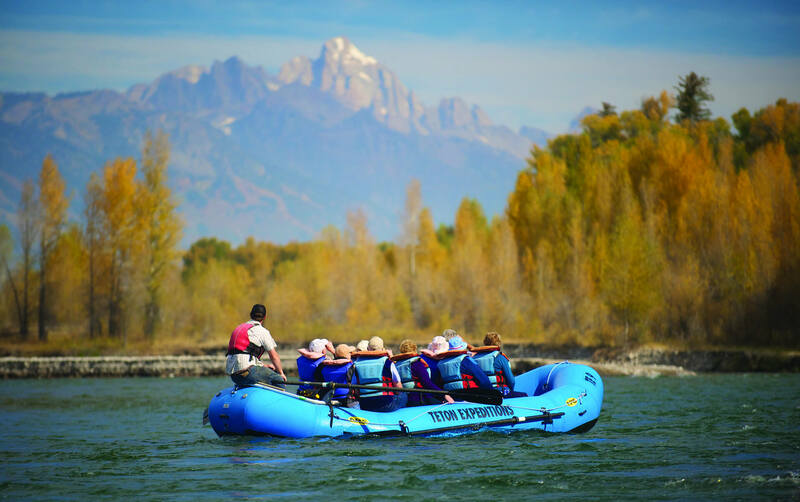 In august, we had the pleasure of rafting with Teton Expeditions. When we arrived, we had no idea what type of trip we wanted to take. After talking with their friendly office staff, we chose the scenic portion of the river. Our guide Krystal was extremely knowledgeable of the river and the area and answered the many questions that we had. The lunch they provide on the river was perfect. On top of the many bald eagles we saw the highlight of the trip was actually seeing a herd of elk cross the river! 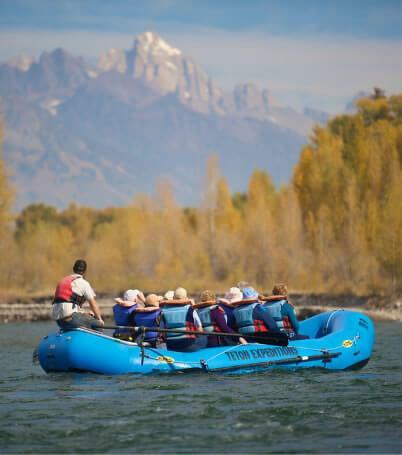 If we ever have the fortune to make it back to Jackson, rafting with Teton Expeditions will be top on our list! We go all over the country whitewater rafting and Teton Expeditions was our favorite hands down! From the moment we walked into the door we felt welcome!! Every person that we came in to contact that is employeed through Teton Expeditions was friendly and knowable! 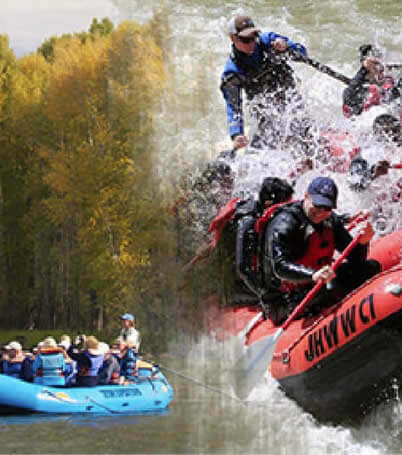 My advise to everyone that wants to go rafting in Jackson, you should just go with the best and That is with no aruguments (at least for my family) Teton Expeditions!!! 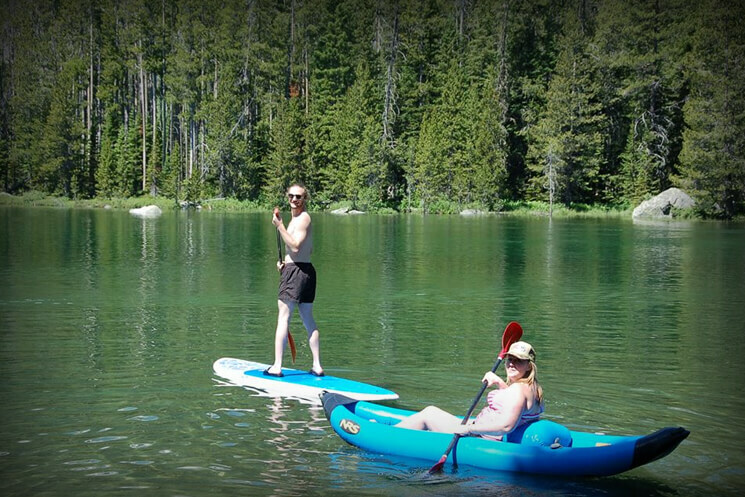 Teton Expeditions, Just writing to thank you guys for a great float trip early last week. My family & I went out on the dinner float last Monday (I think) and had a great time. We were on the raft that saw 4 moose, 5+ eagles, and a bunch of other animals. Our guide, Ryan (or maybe Brian? Not 100% sure – sorry) was really great and very knowledgeable. Made the trip that much better. I posted a 5 star review for you guys on Trip Advisor, and wanted to shoot you some photos you can put on your website if you want – our guide asked me to send some of the moose when I got back. I’ve attached a few pictures for you guys. Thanks again, and keep up the great work. Our job is to minimize the risk while showing you a great time on the Snake River. All of our guides undergo rigorous training before handling their own boat on a river trip. 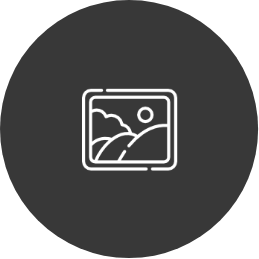 This includes a week-long, intensive guide school, out of which we hand-pick only the best guides, a minimum of twenty shadows with an experienced guide and a two day whitewater rescue course that earns each guide an internationally recognized certification in river rescue. You may wear shorts or bathing suits. We do have splash jackets on the river if you want to use them. For those of you who get cold and wish to rent wetsuits, that’s not a problem. We have plenty and ALL sizes! We have changing rooms at the boathouse. Sorry, no Flip Flops or going barefoot. Teva’s, water shoes or tennis shoes will be fine. We do have some great wetsuit boots that will keep your feet warm for rent at the boathouse. 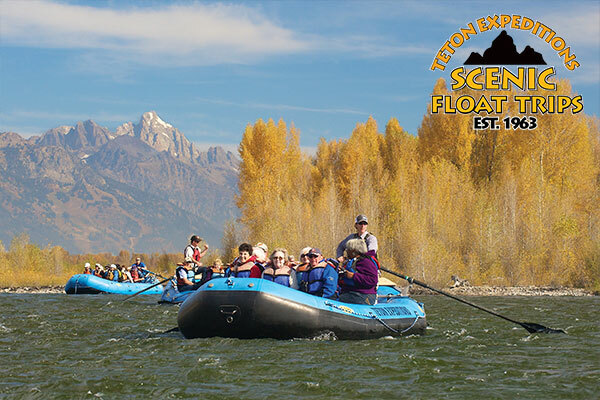 The scenic float with Teton Expeditions is on the upper section of the Snake River from Wilson to South Park in Wyoming. The scenic float does come with lunch on the river. Don’t forget to bring your camera! We usually see lots of wildlife. Bald Eagles and hopefully some big game! Dress in layers, it’s usually pretty nice on the river, but it is the mountains and we can have an occasional storm pop up. We do have windbreakers for you to use. We also have Bushnell binoculars for you to use.